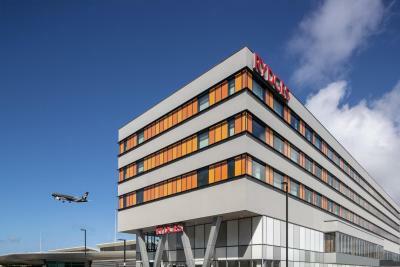 Lock in a great price for Rydges Wellington Airport – rated 9.1 by recent guests! We were happy with everything.. service and meals were good..
Really handy location if you have a really early flight. Awesome double headed shower. Room modern clean and quiet. Location was great, walk straight off departure concourse. Local car parking available a short walk away (or had a good option to use airport parking for $30). Staff very helpful. Rooms had a great view of the apron. All the necessary comforts were in place. So handy at the airport for my type of short stay. Very pleasant and professional staff. Location was amazing! Bed was comfortable. Room was clean. Sound proofing was good. Check in was friendly and fast. Breakfast and location great, bed comfy, shower great. Staff at desk were really good. The room was lovely and perfect for an overnight stay. Conveniently located above the international terminal of Wellington Airport, this 4-star hotel features a fitness center, on site restaurant and bar and 24-hour room service and front desk. Offering stylish and contemporary guest rooms, Rydges Wellington Airport provides free unlimited WiFi. It is a 20-minute drive from Wellington CBD. 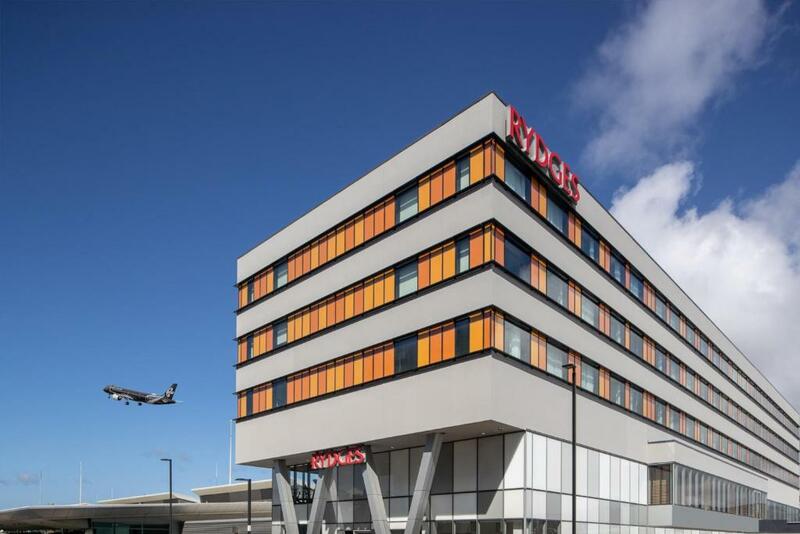 All rooms at Rydges Wellington Airport feature air-conditioning, a seating area and a flat-screen TV with cable channels. The private bathroom is equipped with a shower, free toiletries and a hairdryer. For your convenience, tea/coffee making facilities, a mini bar and ironing facilities are also provided. Open for breakfast, lunch and dinner, Whiskey Lima Golf (WLG) offers a range of meals including salads, sandwiches, steaks, New York-style pizzas and more. Takeaway menu items are also offered. You can relax and unwind at the bar. Ataturk Memorial is 1.7 mi from Rydges Wellington Airport, while Wellington Zoo is a 10-minute drive away. Museum of New Zealand is 4.3 mi from the property. When would you like to stay at Rydges Wellington Airport? With views stretching to the rear of the Airport and Wellington hills beyond, Superior North Rooms offer a space to work or simply to rest. Rooms feature a “Rydges Dream Bed”, flat-screen TV, premium bathroom, in-room safe, mini-bar, adjustable climate control, tea/coffee making facilities and complimentary high-speed WiFi. Double glazed, vacuum sealed windows ensure rest and relaxation, and for the more energetic, access to the 24-hour fitness center facilities is included in your stay. Public parking is available on site (reservation is not needed) and costs NZD 42 per day. With views stretching to the rear of the Airport and Wellington hills beyond, Superior North Rooms are offer a space to work or simply to rest. Rooms feature a “Rydges Dream Bed”, flat-screen TV, premium bathroom, in-room safe, mini-bar, adjustable climate control, tea/coffee making facilities and complimentary high-speed WiFi. Double glazed, vacuum sealed windows ensure rest and relaxation, and for the more energetic, access to the 24-hour fitness center facilities in included is your stay. This room features all the comfort, functionality and features of a Rydges guest room, combined with views of the South Coast and the sunsets of Wellington. Rooms feature a “Rydges Dream Bed”, flat-screen TV, premium bathroom, in-room safe, mini-bar, adjustable climate control, tea/coffee making facilities and complimentary high-speed WiFi. Double glazed, vacuum sealed windows ensure rest and relaxation, and for the more energetic, access to the 24-hour fitness room facilities is included in your stay. Boasting 270 degree panoramic views of Wellington Airport Runway, Lyall Bay and the Southern Headlands Reserve, this Deluxe King Room features a “Rydges Dream Bed”, flat-screen TV, premium bathroom, in-room safe, mini-bar, adjustable climate control, tea /coffee making facilities and complimentary high-speed WiFi. This standard King room features a “Rydges Dream Bed”, flat-screen TV, premium bathroom, in-room safe, mini-bar, adjustable climate control, tea/coffee making facilities and complimentary high-speed WiFi. This double room has a seating area, tile/marble floor and electric kettle. Daily parking is included with each room night booked. Please note guests are to park in the multi-level car parking building. A parking entry card will be validated at Reception. This double room features a tile/marble floor, electric kettle and air conditioning. Daily parking is included with each room night booked. This double room has a tile/marble floor, sofa and air conditioning. Daily parking is included with each room night booked. This double room features a seating area, tile/marble floor and sofa. Daily parking is included with each room night booked. This twin room has a electric kettle, seating area and tile/marble floor. Daily parking is included with each room night booked. This single room features a tile/marble floor, seating area and air conditioning. Daily parking is included with each room night booked. House Rules Rydges Wellington Airport takes special requests – add in the next step! Any additional older children or adults are charged NZD 110 per night for extra beds. Rydges Wellington Airport accepts these cards and reserves the right to temporarily hold an amount prior to arrival. Parking is across the road and costs $30 per day which I wasn’t expecting. Great breakfast. Clean everything. Comfortable. Good Value. The toiletries were in small plastic containers that is too much plastic waste for single use items surely you can find a more eco friendly product. Staying for 8 nights the breakfast selection became a bit boating would be nice to have at least 1 different item ie: waffles, pancakes, different flavour sausage. The free wifi was great, the movies were great, the juice selection at breakfast was great. the room was comfy, the location was very conviniate and the stuff were very friendly. The room layout was not the best - there wasn't a desk. The area to use the kettle was too squashed. The water ran out of the shower into the main bathroom part. Breakfast was good. Member of staff on the Reception in the morning was very pleasant. I did not have breakfast but the facilities were outstanding. The rooms were large and comfortable. The location was great. The rooms were nicely appointed and the staff in the restaurant bar area were fantastic. Noise! The main door had about a 10mil gap that we could hear people on the hallway. There were a couple of guys doing work in the room opposite us which was very annoying. Room was very clean and the bed was super comfortable. Location was also very convenient for us. Every staff member was very helpful and polite. The restaurant food (I need gluten free and had no problems). The location. The decor. Bathroom was very clean, but only had a single hook either hang towels or clothes while showering. Also, the way the shower door swings open makes it impossible to use a bathmat, resulting in a soaking wet floor. Paired with the lack of hanging space, the experience is a bit of a challenge. Staff were exceptional, both friendly and extremely helpful.